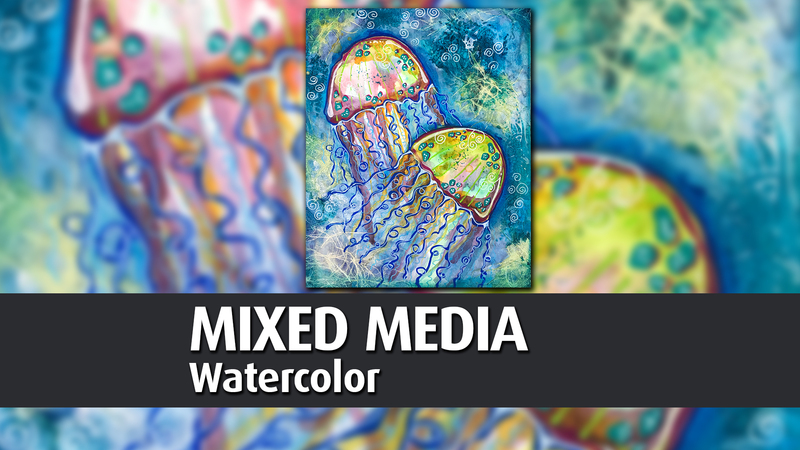 Learn different ways to put a new spin on your watercolor paintings! We will be working on a wooden panel that has been prepped for watercolors, then experiment with adding several different media to embellish your composition including acrylics, stenciling, collage and ink pens. Hint, hint...these methods are great for covering up boo-boos too, so whether you are a beginner or a seasoned watercolor artist, you will learn some very useful tips and tricks. Join us!